It's been months, days I wanted to prepare this dish. 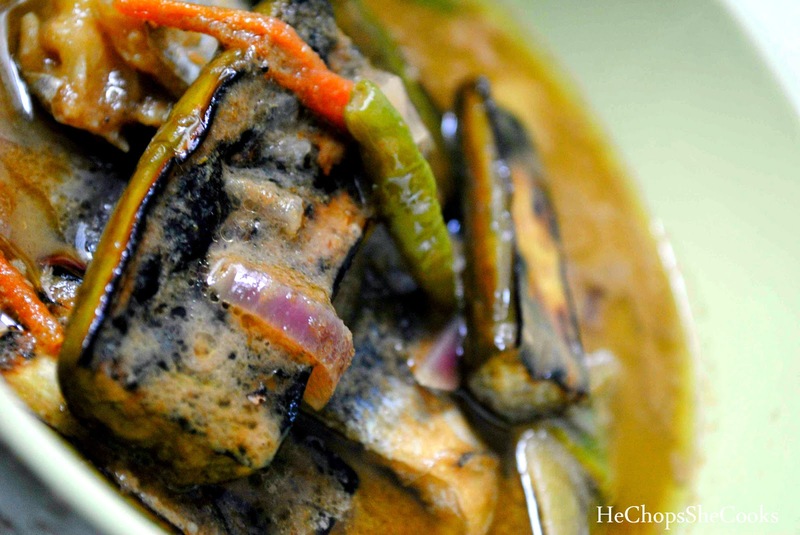 Craving for so long, Lemak Cili Api or also known as Green Curry Fish is one of my favorite dishes. I wanted something hot and spicy for sure! Making the right ingredients for the paste will give you the best green curry flavors ever. Try not to skip or avoid even one ingredient because each ingredients play different aspect in your curry. Preparing the paste is not that hard and you definitely can get the ingredients at the market. What you need to have the perfect paste; lemongrass, green chili, garlic, onion, galangal, salt, ginger. coriander, turmeric, water, bergamot. Blend or whisk it in the food processor. • Whiz the rest in a food processor with the lemongrass stalks, onions, chilies, garlic, ginger, coriander, until everything is finely chopped. Heat the oil in a wok or large frying pan. Add the green curry paste and sugar and cook over a fairly high heat for about a minute, . Reduce the heat slightly and stir in the fish. Add the coconut milk, fish sauce or soy sauce and bring to a simmer, cooking for 25-30 minutes until thickened slightly. Stir in the coriander and lime juice. Check for seasoning, adding more fish sauce or soy sauce if needed. The curry is now best left to sit for a few minutes so the sauce becomes creamier. 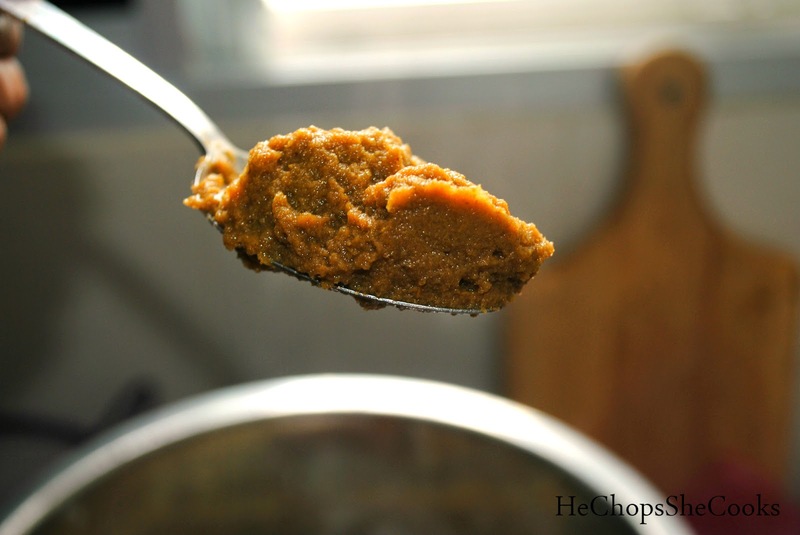 You will also taste the true flavors of the curry paste ingredients when it's slightly cooler. Serve with lots of fragrant Thai jasmine rice. Serve with steamed white rice and you’re ready to enjoy! Oh yes. My any time and all time fav. I love Malay dishes like crazy and this cili api lemak is also driving me crazy too. 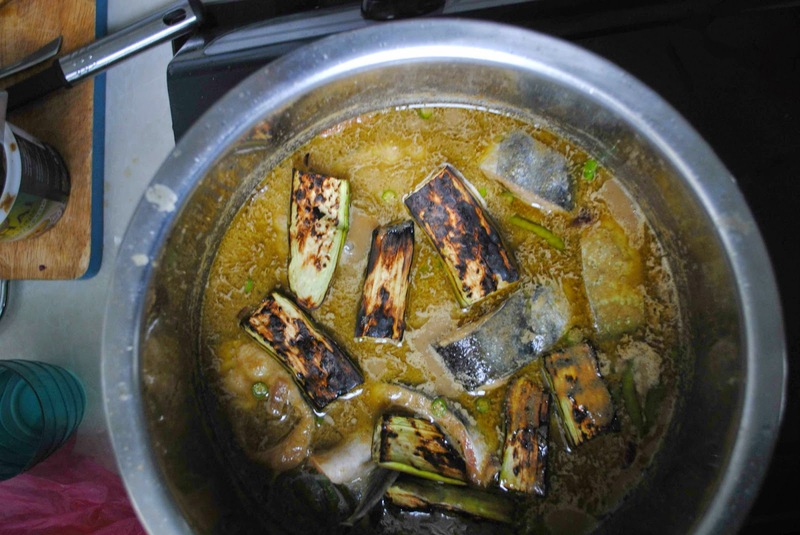 Hi Shazzy, this fish curry looks delicious. Hi Kanak, thanks for dropping by. Yup its awesome to have it warm rice! you got a great space anyway.